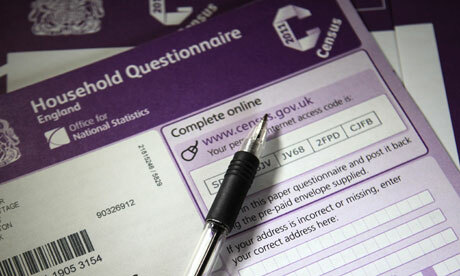 Last night, John and I filled out the 2011 UK Census. It's the first time in my life that I've been counted in a country outside the US. We could have submitted our information online. But we figured it would be just our luck that our broadband would go down at a critical time. So we took the traditional approach and used the paper form. "Person 1" is the one who fills out the paperwork. The other members of the household are "Person 2", "Person 3", etc. John decided I should be "Person 1". That was my reward for having the best handwriting! PS By the way, for any of you who have wondered about the mysterious Question 17 ("This question is intentionally left blank. "), the answer is in this article from The Mail Online!